Maruti Suzuki has finally raised the curtains on the all-new Baleno 2019 facelift and put in on display for the car enthusiasts. With the motto of aspiring the bold and the innovation, Maruti Suzuki has hit the nail with this ergonomic Baleno 2019. Available in 4 different trim levels as Delta, Sigma, Alpha and Zeta, these feature petrol and diesel options are priced at a starting price of Rs 5.45 lakhs for the base option. The top spec would cost 8.77 lakhs. Maruti has taken homage to make Baleno an appealing brand and thus they have incorporated bold design along with finesse interior and revolutionary driving experience into one. It continues the lineage of Baleno with many features carried forward from the previous model. However, there are quite a few changes like offerings of sportier front fascia featuring wider stance and a new dynamic 3D detailed grille. It also comes with revised fog lamp and has an all-new LED projector headlamp featuring daytime running lights. It also features a few 16-inch alloy wheels. 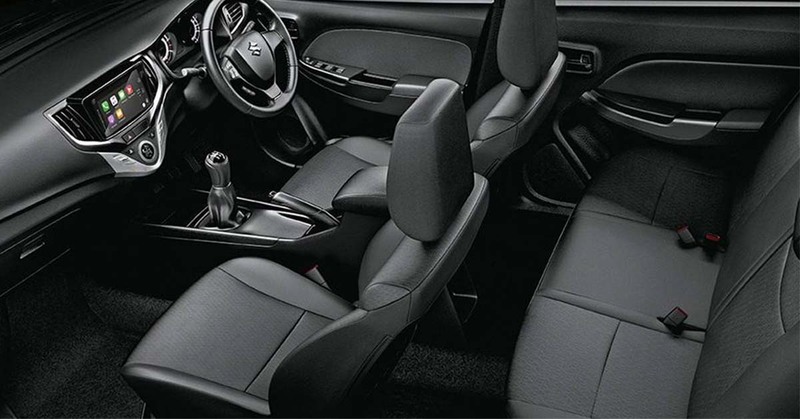 The inside of the new 2019 Baleno facelift features subtle changes like new black interior, dual-tone fabric seat design, ‘Smart play Studio’ connectivity options, a whole new 17.78 cm touch-based infotainment system and even cloud-based services. It can be easily connected to either Apple Car Play or the Android Auto. Under the hood, this is powered with HEARTTECT platform, a platform that also powers Swift and Dzire. It comes in two engine options as 1.2-liter petrol based one producing a power of 82Bhp and a max torque of 115Nm and 1.3-litre diesel based one offers 74Bhp of power and 190Nm of torque. It comes in both the 5-speed manual transmission and CVT automatic option. There are six different color schemes on offer like Pearl Arctic White, Premium Silver, Phoenix Red, Nexa Blue, Magma Grey, and Autumn Orange.